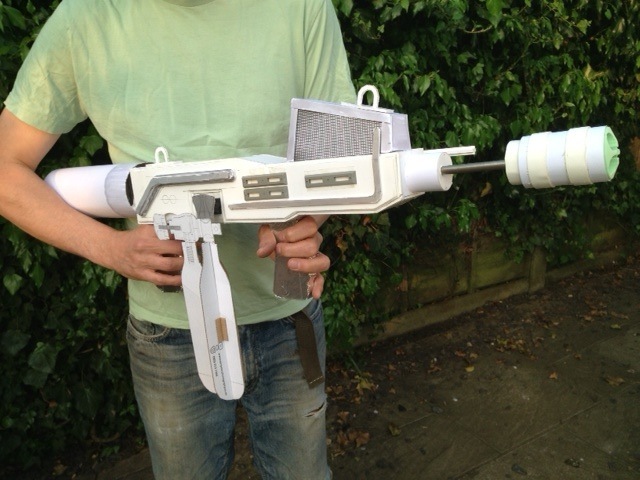 As some of you know back in the mid eighties I built my first Alien flamethrower. 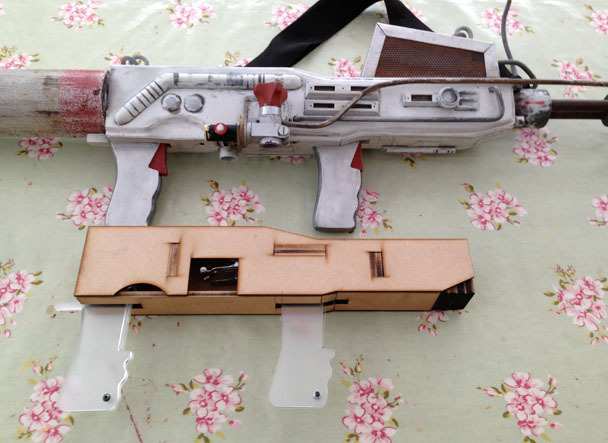 More details of that build can be found here on Propsummit. I’d decided along time ago my first attempt was far too big. I set about re drawing my plans to what I thought would be a more screen accurate size. 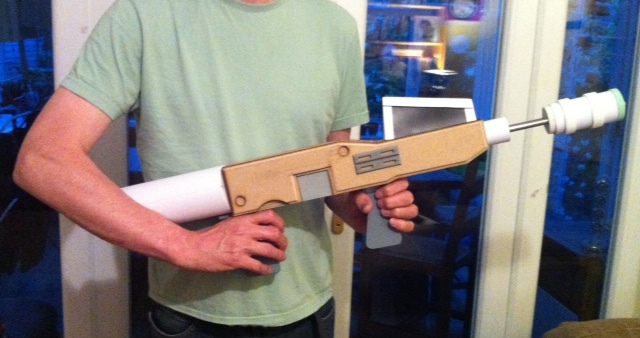 My original build was approximately 38.5 inches (980mm) long. I took two ‘side on’ images of the unit I had (of two different versions), and used these for the basis of my new measurements. 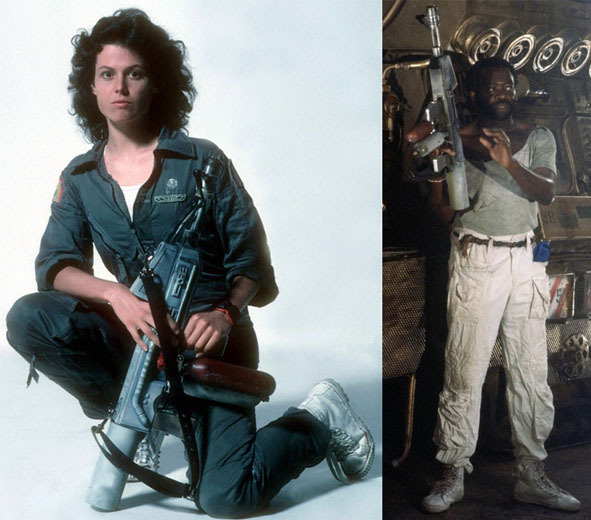 One was of the Propstore flamethrower and the other was of Sigourney Weaver kneeling down holding the flamethrower. 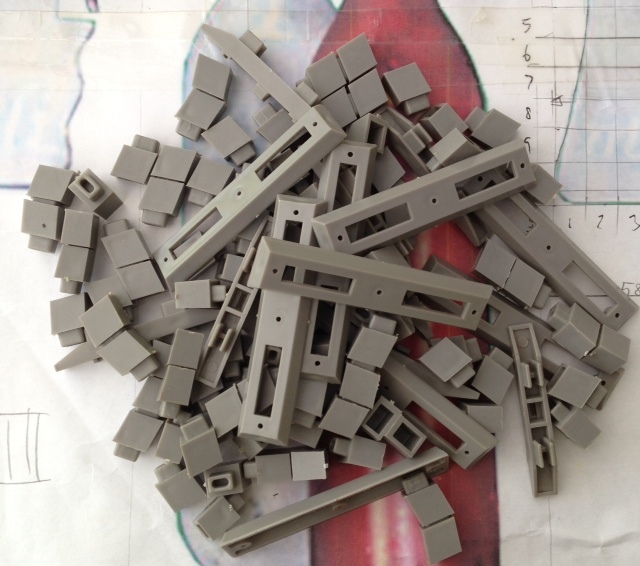 I was just about done with the basic re scale when Skinjob 66 (Fred) posted the Profiles In History Auction details. The info said the unit was about 31.5 inches (800mm) long. This time I wasn’t too far out at 33.5 inches (850mm). But it was back to the drawing board! 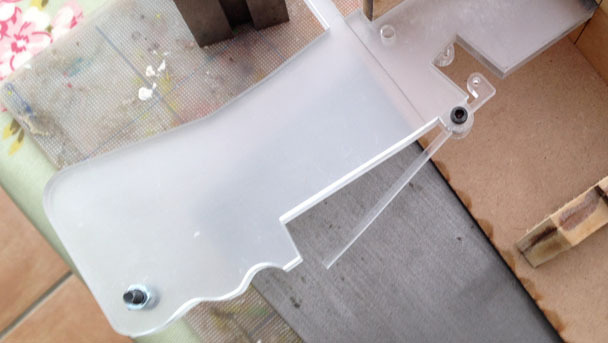 Around the same time Fred saw a particular part, pictured below, had been identified on the Narcissus build thread on the RPF. I’d asked about it before on this forum and was told it was from a Hornby railways set, though I hadn’t been able to find any. Now I had the exact name, I looked on eBay and found a set straight away. So I now had an overall length and an actual part used on the flamethrower. 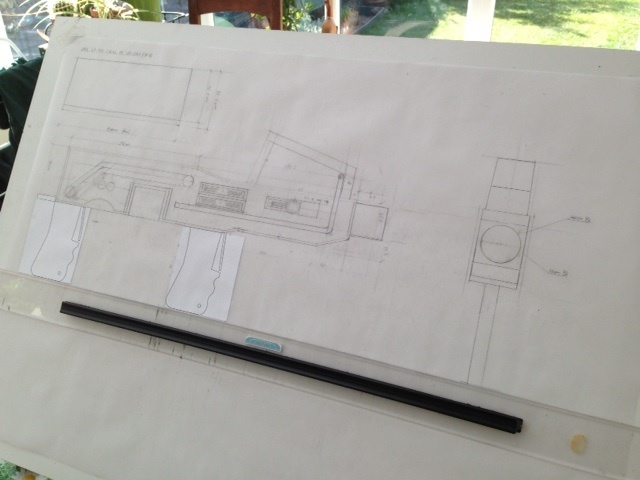 Having re sized the photo’s again to match the Hornby piers part, I could revise my plans. I'm treating this build as a mock-up/ prototype. At the moment I'm limited to machinery so I can only progress so far before I will have to stop. Here's the build so far. 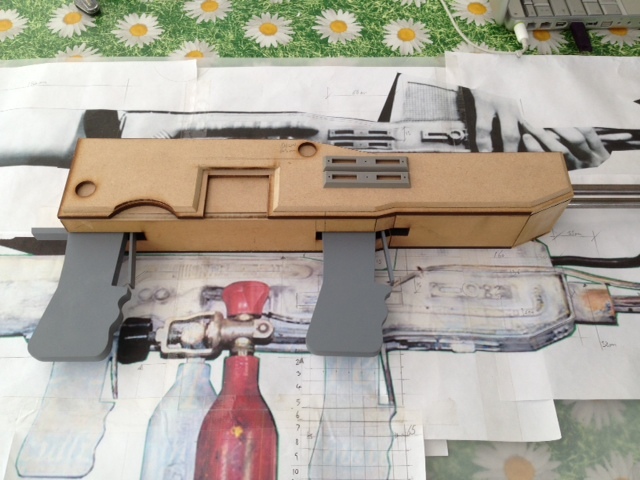 The main body is out of MDF and the grips at the moment are in acrylic. I worked out some cutting paths from my plans and had them laser cut. Here’s the basic main body going together. 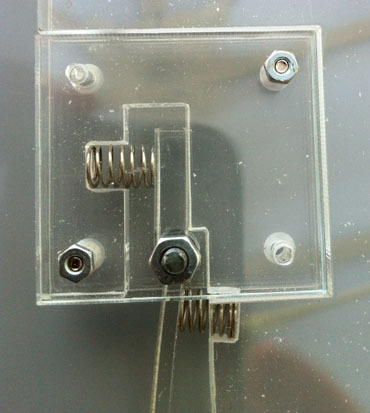 I’d designed a quick trigger mechanism, knowing it would change but just to give me an idea of how it might work. On assembly of the test grip and trigger (pictured above) I knew it wasn't the one and redesigned it with two internal springs. Here’s an early comparison to my old build. At the moment it certainly feels a better size. And here, a bit more fleshed out, against the enlargements. My first goal was to get to the stage illustrated below and then decide if I need to adjust things. However the other day I was becoming less convinced that the new size was correct. So rather than spending money on materials I thought I’d mock up the rest in foam core and card. i) My initial reservations were the girps were slightly too small and not thick enough. I’d made them 11mm wide but I think I could go to 15mm quite easily. ii) The slope on the top of the main body was too steep. iii) The right side detail parts looked a little cramped. iv) The top vent seemed a bit small. As it stands the rear tank is 3” in diameter and the bottles 2.25” in diameter. The front nozzle about 2” in diameter, which on paper seemed okay. 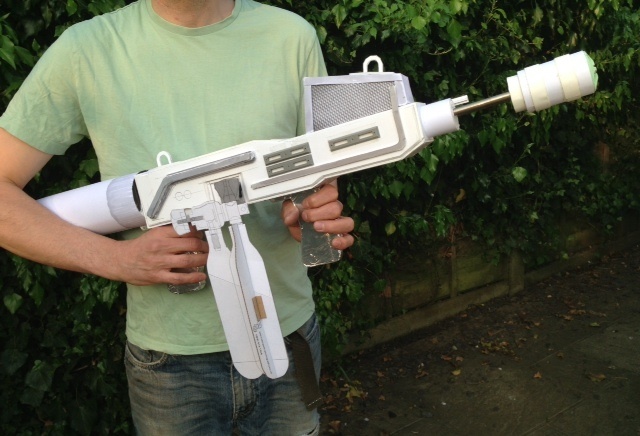 So here it is with the rear tank, top vent and nozzle mocked up in foamcore and card. So my conclusion at this point is my unit is too small. I don’t think it’s just a matter of uniform re sizing. I think I have to adjust certain area’s, which don’t look right. But I do feel the overall length will have to grow. I think the Profiles In History sizing is too short (or that particular version was short)! I’ve taken the picture of Parker below, who according to the web stands at 1.9m tall. At 190mm ‘on screen’ Parker’s flamethrower, which is almost vertical, is about 88mm tall. Making the actual size about 880mm long. 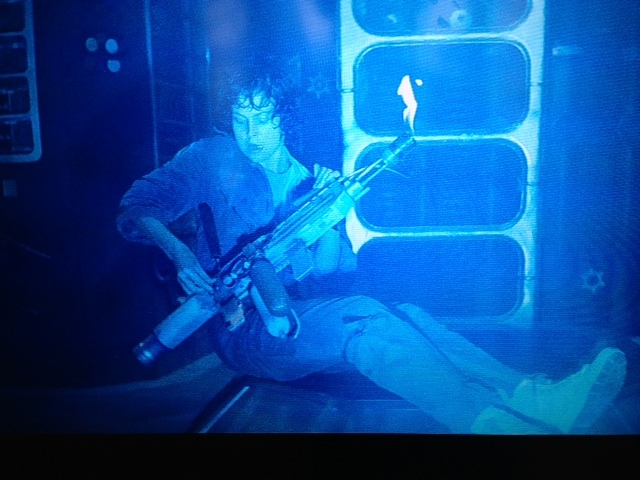 Then with the photo of Ripley. I know the Weyaln–Yutani patch is approximately 3” across. 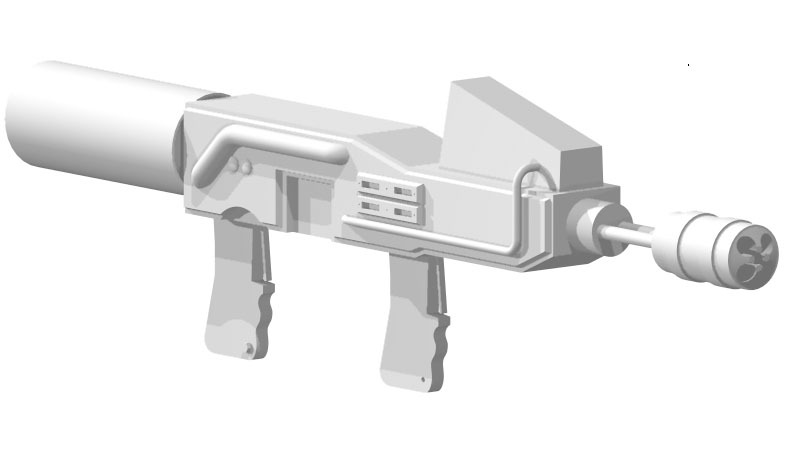 The patch fits into the length of the flamethrower about 11.5 times making the actual length about 875mm long. So its back to the drawing board! I will hopefully post more on this in the week. It's always nice to see someone who is prepared to redo their hard work in order to produce the perfect replica. 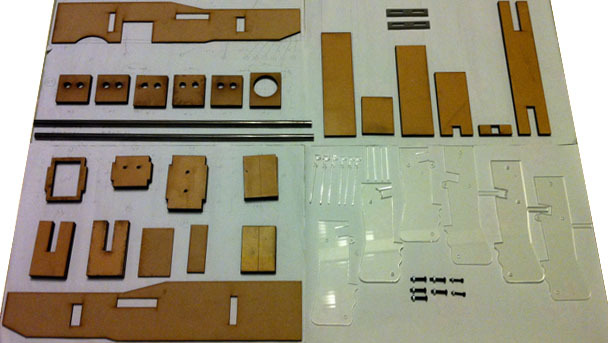 Is the laser cutter something you have at home? Pro Mod, thanks for the comments and the interest in my build. In answer to your question, my wife has access to a laser cutter. Its a small machine with a 300mm x 600mm bed. Comes in useful. 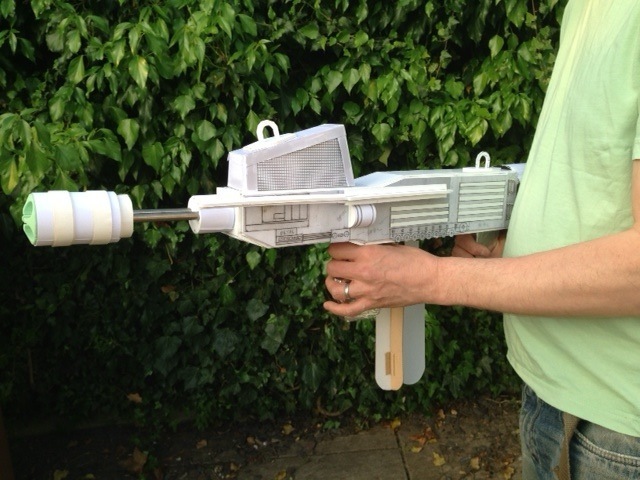 On a separate note Pro Mod, I came across your 'Nostromo Emergency Destruction System' build a few weeks back on the RPF. Wow! What a great build. Don't know how I missed it. I'd been waiting for a good time to comment! looking forward to seeing more. 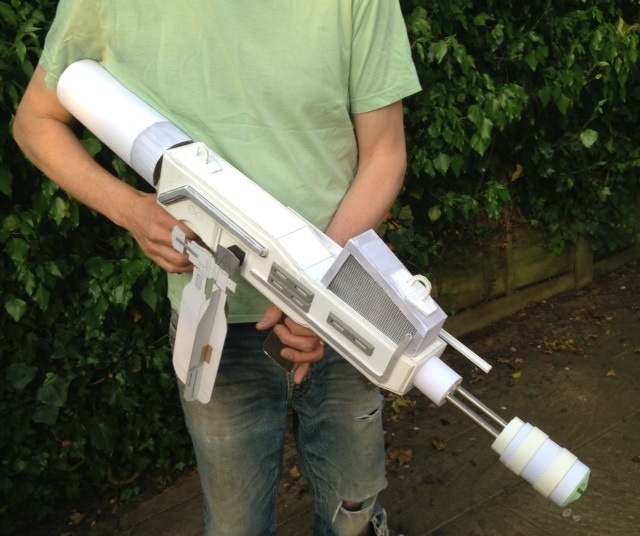 So a small update on my flamethrower. I decided I would literally go back to a traditional drawing-board. I like drawing in a CAD program usually. But I really need to see it full size now as I draw. So I've been doing a bit tweaking. I think I'm getting there. I think another mock up is in order. Looking good Colin (I like pencil and eraser ). Great to see a nice build of the incinerator unit! Sizing is always tough. Once you you make the decision of your final scale it affects the rest of the build intensely. 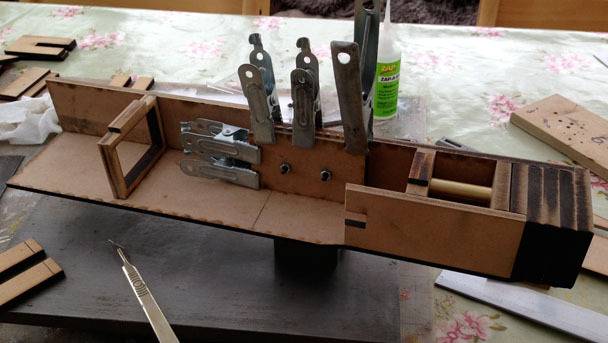 I usually build a rough 30 minute cardboard version of what ever I'm going to build in order to finally the overall feel of the thing at hand. 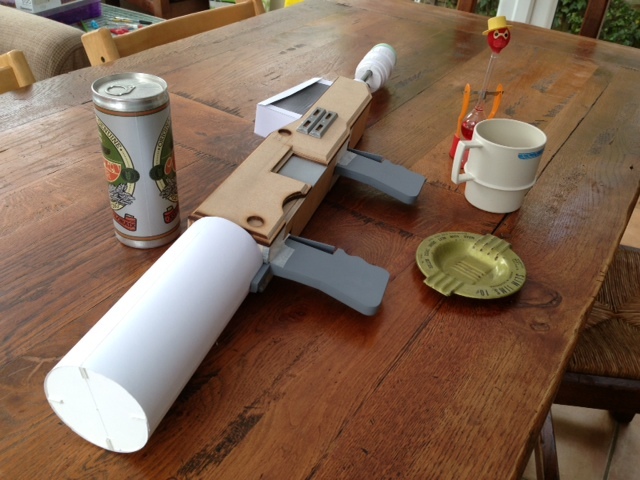 Those quick cardboard pre-builds have saved me so much work time and again. 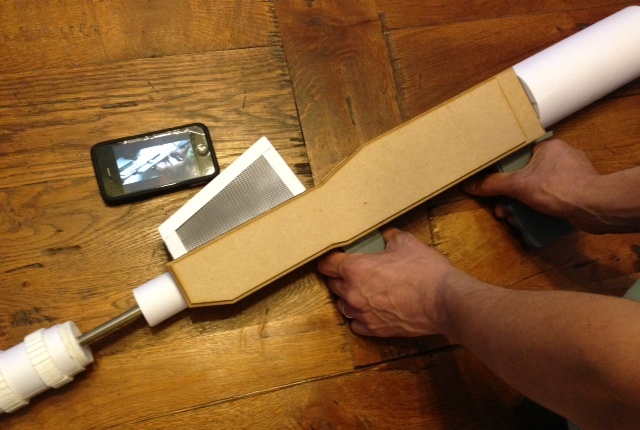 sometimes you can only tell if something is "right" when you have a real mockup in your hands. Nick, thank for your comments. I think there could be a few mock up's on this one. While immersing myself in the world of Flamethrower I caught this image. Its the first time I've ever noticed or seen the propellent cylinder in the back. It's usually covered by the actors arm or not present. I knew it was there, I just assumed it was housed within the tube. Wow First time I see that shot with the canister! TFS Colin. I had always wondered why this tube had been left hollow... Now I know, thank you Colin ! In fact, the "empty tube" on the back looked so strange to me that I've never really liked the incinerator. It just looked so incomplete. 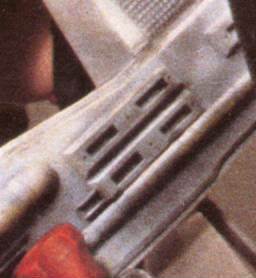 Similarly, for a long time the only photo of the pistol from Alien that I could find had a glare on the painted red piece on the front that made it look like it was candy stried red and white! It made me hate the pistol until I saw Stephen210's fantastic shots of the real prop. Now I know that (once again) I've been fooled by promo stills. The incinerator actually looks quite cool, so thanks for sharing and making a believer out of me! retrogarde, I know what you mean about the flamethrower. Its not the best looking SF weapon out there. But I've always liked the basic-ness of it. Also the idea that Parker has lashed two units together in 20 minutes makes me laugh. Joberg, the exposed canister is an option. But I'm finding there are many different lengths of tubes off the back of the unit. 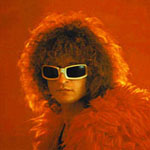 At the moment I'm putting a list together of all the versions I can find. During my searching I came across this (top) photo of the unit. I think its from Phil Rae but I found it on Gavin Rothery's blog. What's interesting is the hole in the front grip! I'd not seen a hole in any of the grips before. 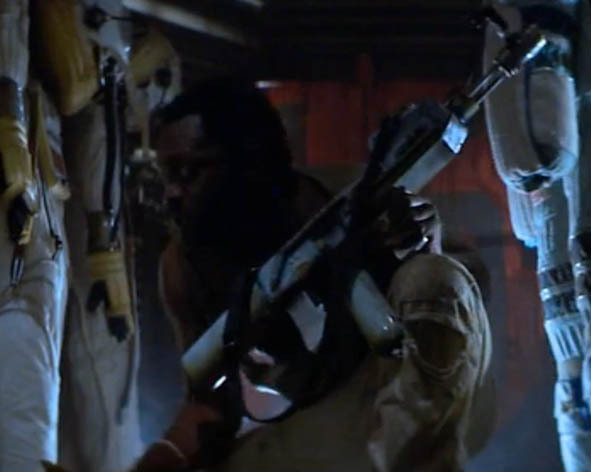 While watching the film yesterday I noticed in the sequence with Dallas in the air ducts, there is a shot when the flamethrower is side on. You can see the hole (bottom photo - 'centre'). What's also interesting is in the top picture there is no cut out with the gas knob yet in the film the unit appears practical. 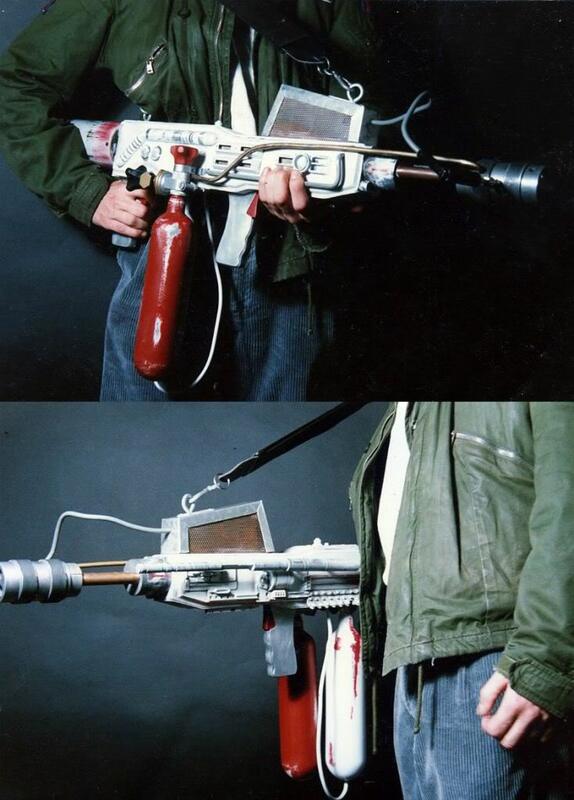 How many of these flamethrowers were produced/transformed anyway? Parker's flamethrower has only the white tank. The red tank and scuba yoke are missing. 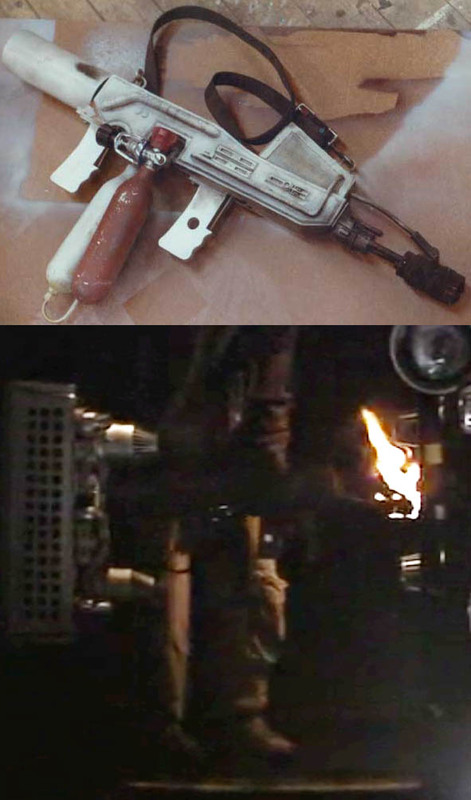 Also if you watch this sequence where Parker meets his end you will see he has one of the red 'Hoptomist' toys (on the long springs) attached to the flamethrower! I found a good close up shot of Sigourney Weaver with the flamethrower on the lawn at Shepperton studios today, on the Anthology discs. She's firing the one with the hole in the forward grip. Makes me wonder if it started out without the cutout for the gas knob but later they cut the body away for more control. I managed to put a 2nd mockup together in the last few days, based on my new drawings. Using foam-core and card this time. It definitely feels a better size. I've made the body longer and slightly taller, widened the grips, and enlarged the diameter of the rear tube slightly. I spoke to Birdie and he gave me some useful information about the scuba tanks he bought (Thanks Birdie). I can't decide if it's too wide now. It certainly looks quite wide in some shots, like when Dallas is firing downwards or when Ripley comes down the ladderway.